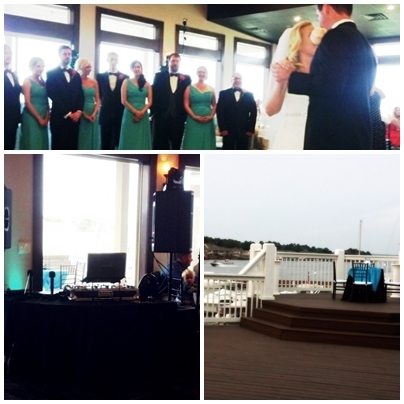 Tonight we performed near the water and were the DJ in Montgomery TX for Brad and Jill on Saturday, July 13th, 2013. We had the full setup with uplights, subs, and everything looked amazing. A classy venue like Waterpoint Marina makes a great overall party as this enhances the mood overall. If you are need a DJ in Montgomery TX, give Xceptional DJ’s a call. Our specialty is providing top notch DJ and Photobooth services for weddings, private parties, and corporate functions and we are excited to do a great job for you! Contact us today to check availability.